Before I left the UK, I was asked what I was most looking forward to eating in Cambodia. 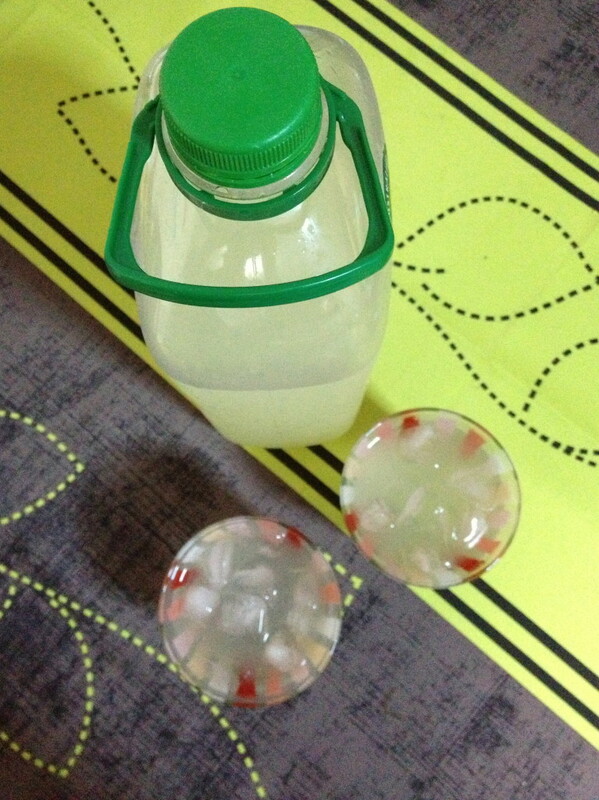 The first thing that popped into my mind was a drink, lime juice. I developed a liking for it on my first visit to Cambodia over 3 years ago and now I’m sort of addicted to it. Ttuk is the word that they use to describe water/liquid. Lime is called kreu’ik ch’mmaa – orange cat. I think that most citrus produce is a type of ‘kreu’ik‘ – orange and they add a descriptive word after it in order to specify it. Limes get the description cat because the face you pull when you eat a lime, is like a cat. Apparently! I’m only explaining the language. Ttuk kreu’ik ch’mmaa. Water orange cat. It made me laugh – a lot! I do love learning languages and there were two reasons why I was so keen to get stuck into learning the language when I arrived. Of course, my main reason was simply to be able to communicate with people and get around. Secondly, don’t you think that you learn so much about the culture from the language? For example, one thing I’ve found out about Khmer is that they love to put words together to make up new words, like they do in German. Then today, I learned that onions are, ‘k’tum barang‘ which translates literally as garlic french. It led me to ask my teacher whether onions were brought over by the French, and thus not native to Cambodia. He’s a 21 year old who isn’t as interested in food as I am. “Yes” he says slowly, not entirely sure why I am so interested in finding out about the history of onions. Anyhow, back to ttuk kreu’ik ch’mmaa. I especially loved Tuesdays and Fridays, when I was living with Simon and Becci because their househelper came round and made a big container of fresh lime juice and yummy food. Not that Simon and Becci don’t make yummy food – it’s just… ugh… I’m digging myself into a hole. 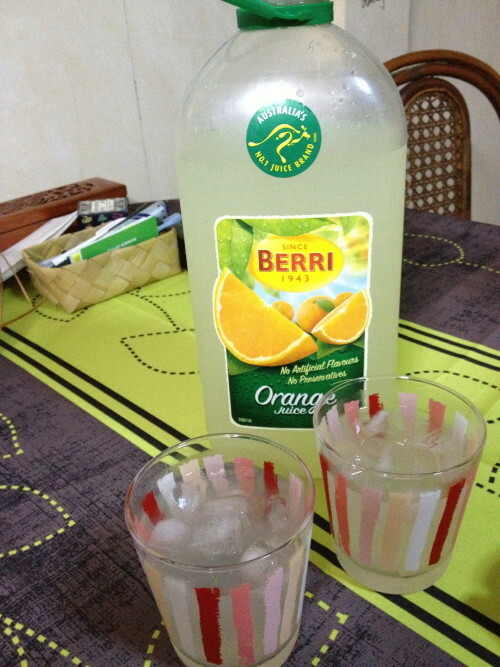 So, anyways, Simon and Becci had taught her how to make the lime juice and I asked them to tell me. Then on one bank holiday, I spent an hour making sugar syrup and squeezing the juice of 13 limes. Perhaps I don’t work out enough, but I really felt it in my hands and arms the next day. 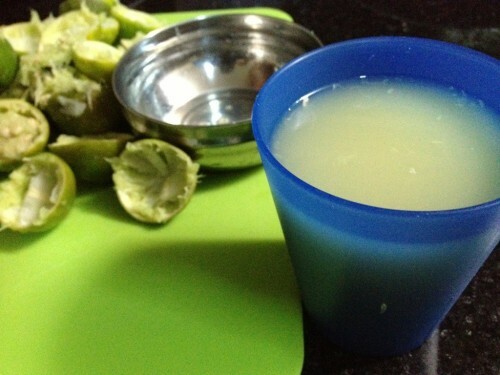 You can vary the amounts of the sugar and the limes, according to how you like your lime juice to taste. I like it a bit on the tart side and not overly sweet. 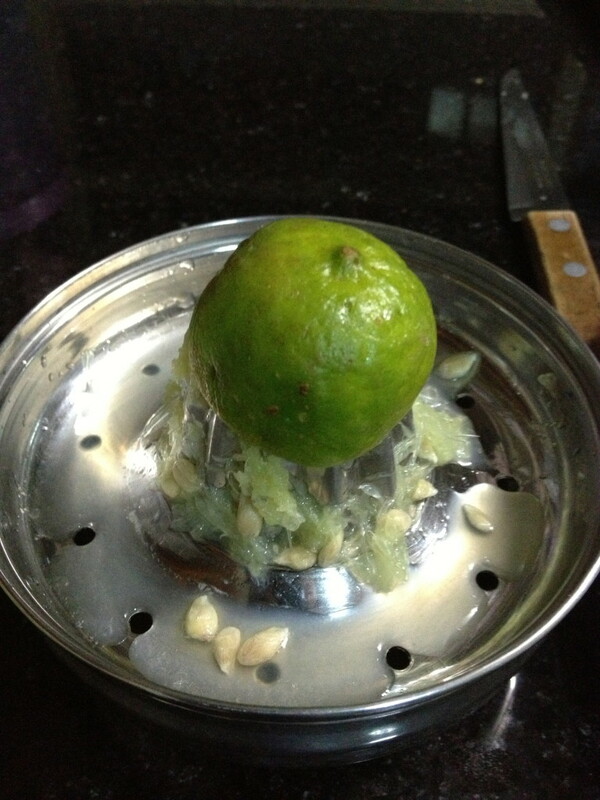 Top tip: make the sugar syrup first so that it has a chance to cool down while you are squeezing the limes. 1. Add the sugar to the water in a saucepan. Put the saucepan on a low heat and stir until the sugar has dissolved completely. 2. 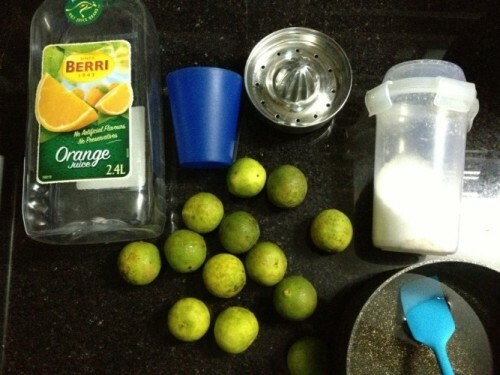 Once the sugar syrup has completely cooled, add the lime juice and pour into an empty container and dilute with water by filling the container to the top with water. 3. Serve poured over ice.